This classic & scenic trek through the Dudh Kosi river valley passes through the traditional Sherpa villages of Namche, Khumjung and Khunde which brings the ever- so-quiet monasteries at Thyangboche and Pangboche. 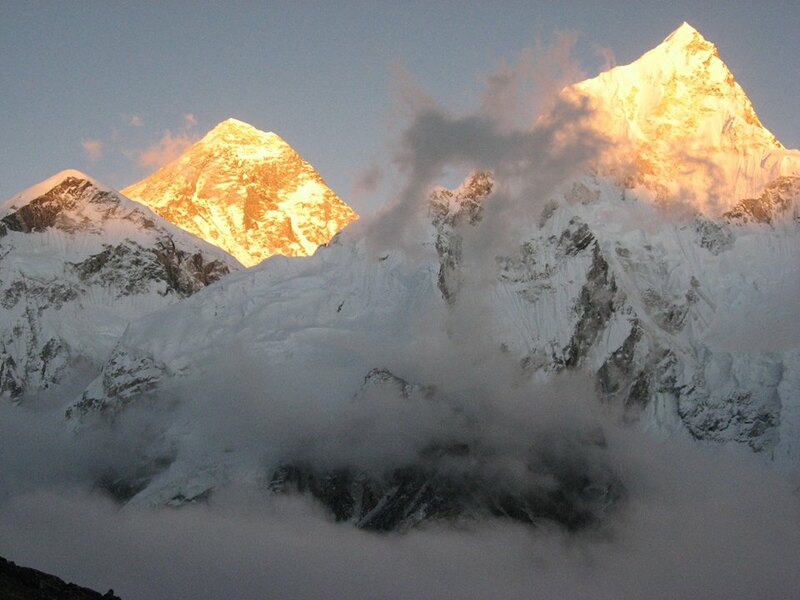 You will meet the friendly Sherpas and enjoy their world renowned hospitality. You will also be amazed to observe how life continues in this extremely quiet and spiritual side of the world; very much at its own pace as it has done for centuries. Our highest point is Pangboche [3908m] with its delightfully unspoilt monastery, the way it was ever since its inception. There may also be an opportunity for you to visit the rather rare and unusual Buddhist nunnery at Deboche and the famous Thyangboche Monastery, set high on an inclined ridge, commanding some of the most spectacular views in the area. You will have magnificent views of Mt Everest [8848m], Lhotse [8501m],Nuptse [7879m], Ama Dablam [6856m], Thamserku [6608m] and Kantega [6685m]. You will also see great glaciers, sprawling snowfields and glistening ice ridges emitting sparkling flashes in the warm, Himalayan sun. You will experience some unique nature hikes through dark forests, open pastures and masses of rhododendron flowers in the pre-monsoon, or the reds and gold ones of autumn in the post-monsoons. You will be excited when you encounter suddenly with wild animals and birds in such a high mountains. The Thar, himalayan mountain goat, musk deer and Danphe bird national emblem of Nepal . You will also look into the intricately carved Mani stones and prayer flags whispering all around on the trees connected with shrines of the monestaries and the all-seeing eyes of Buddha on every Chorten and stupa. This is an area rich in cultural, religious and environmental interests, set within an awe-inspiring landscape below the highest mountain on Earth. Tips, expenses of personal nature, incident client's insurance, bad weather, political unrest etc.